BIT Magazine : IoT: What is the Internet of Things? IoT: What is the Internet of Things? July 4, 2015 -- BIT Magazine The Internet of Things (IoT) has many meanings depending on who you ask. In general, it means physical objects embedded with electronics and connected to the Internet. In other words, ordinary objects are now suddenly "connected," and offer a new dimension of use. 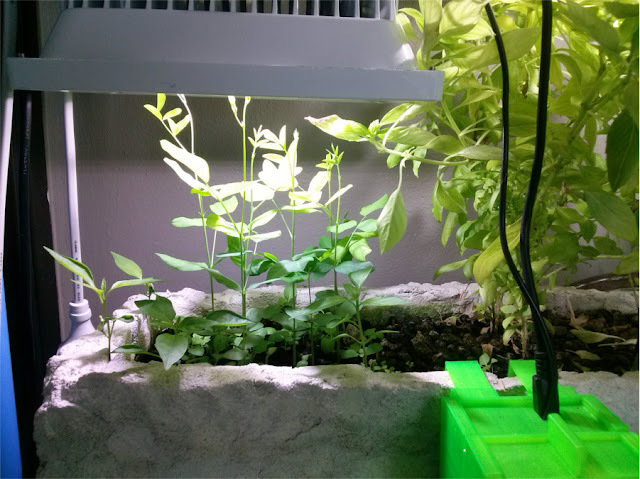 This aquaponics system is connected to the Internet, updating people via Twitter using a webcam. Water overflows, low fish food, or plants creeping too close to the LED lights can all be monitored online, regardless of your location. Embedding electronics into projects and connecting them to the Internet is the essence of the IoT. To large companies, it gives them an opportunity to monitor and track the use of products for marketing purposes and may make people feel their already eroded privacy has further fallen apart. For individuals who know how to cleverly connect ordinary items or new, novel inventions to the Internet, it gives them an increased level of awareness and their now connected devices more utility. A simple example of this sort of connectivity could be a plant with a moisture sensor and a WiFi transmitter that sends a tweet or an e-mail to you when it is dry and in need of watering. Your plant is now on the Internet of Things, any you now have almost no way of forgetting to water your plants. Some might find it convenient, some might find it to be Amazon and Tide getting a little too involved in their personal lives. 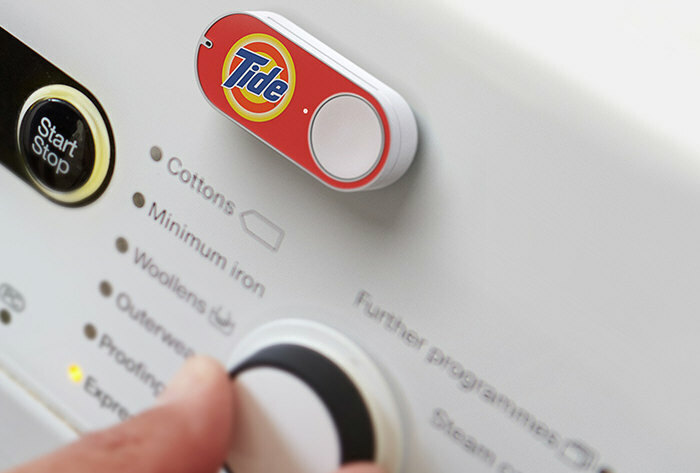 Others might find it the ultimate example of modern laziness... a button you push to order more detergent when you are running low will automatically send your request and process the transaction for you via Amazon.com. However, if you develop your own button you can place anywhere, that does anything and is connected to the Internet, other possibilities might arise. Another example could be a bottle of laundry detergent that notifies you when it is empty, or encourages you to order another from a large company online. This is where the boundaries between innovative and invasive are tested. Like all forms of technology, and in particular, all the benefits and drawbacks of the Internet itself, the IoT is something that the more we ourselves understand and control, the better. Understanding how the IoT works and how devices are connected to it gives us a level of awareness and control over it that may help put our minds at ease, allowing us to enjoy the benefits and guard against its abuses and all matters in between. To be on the IoT, you need embedded devices that gather and transmit information to either a local network, or the Internet itself. This is usually done with micocontrollers and WiFi transmitters. Micocontrollers generally used include the Arduino family of open source boards. These are easy-to-use microcontrollers almost anyone with a starter kit could learn in a day or two. Starter kits usually included buttons, servos, motors, light sensors, and a few other components to help you learn how to handle basic inputs and outputs using the Arduino. This allows you to then move on to designing your own projects which might include automating things around your house. Most appliances you buy from the store already have microcontrollers built-in, but these are not easily accessible, and changing or adding to their functions can be challenging even for the seasoned hacker or maker. 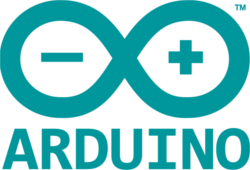 Arduino allows you to build your own project from the bottom up, using an open platform with many resources and help forums online to guide you. The trickier part is then hooking these projects up to the Internet and making use of those inputs and outputs there. Arduino boards have a large number of options available, including WiFi shields that will allow you to connect your projects to the Internet. 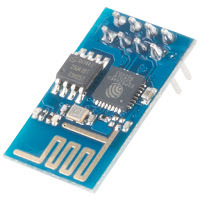 Another popular device becoming very widely used is the the tiny ESP8266. 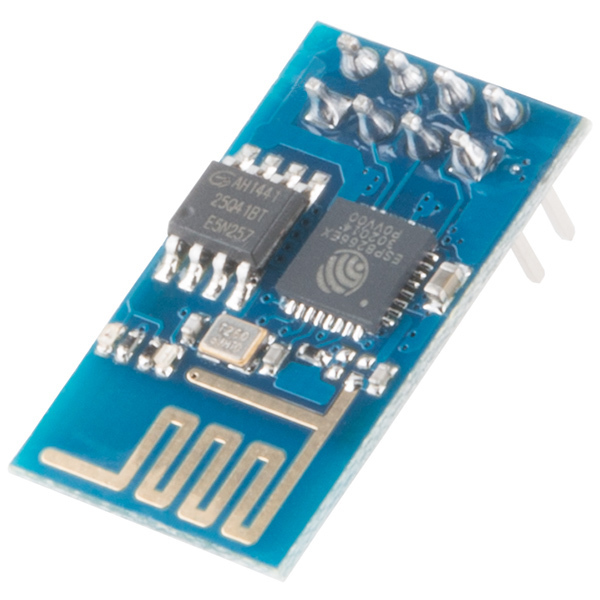 This device is a mini-microcontroller with built-in WiFi capability. It wasn't originally intended to be a stand-alone IoT device, or maybe it was... all that is certain is that hobbyists around the world have built up a large number of freely available resources online to help people get started with it, including how to program it alone, or use it in conjunction with an Arduino. You can also use micro-computers like the Raspberry Pi, which have WiFi adapters available. Raspberry Pi applications can be a little more difficult to develop than Arduino, but are a good "next step" to take once you have Arduino figured out. A little bit of knowledge in the Python programming language might be necessary to gather information and send it online. This example of a webcam set up to monitor and tweet daily the status of an aquaponics system is a perfect example. Simply connecting objects to the IoT is probably a lot easier than thinking of when and why to do so in the first place. Companies of course, want to make the IoT an extension of their existing business models, but for most individuals, they don't have an "existing business model" in mind when they sit down at the drawing board thinking of what IoT device to create. We can probably break it down into a few categories. First, we might want to make ordinary objects "smart," by connecting them to sensors to notice what is happening around them, and to provide useful feedback to people using them. A chair, for example, might have pressure sensors embedded to note one's posture and tell them to sit up straight when they are slouching. Another might be a refrigerator that keeps track of your diet or shopping list. Another still might be monitoring systems to keep track of projects you are working on (like the aquaponics example) that might need urgent intervention if all doesn't go to plan. All of these sensors and objects can be connected to your phone, and give you updates as you need them or request them. That is the real power of the IoT. Since many of us carry a window into the Internet via our smart phones, having objects we use everyday connected to the Internet as well allows us to see and access them no matter where we are. If we are the ones developing these connected objects and choosing how to use them and when, the IoT can become a very useful and powerful concept indeed extending our reach no matter where we are. Conversely, knowing what the IoT can be used for, we can anticipate how and when companies and individuals might try to cross the line as they have already online with gathering our information and tracking our habits. Knowing on a deeper level how the IoT works by creating our own projects means that first we will be too busy using it for our own good to waste time using it how others want us to, and second, we'll have a better idea of how to protect ourselves from unwanted objects connected to the Internet, sitting in our homes and transmitting information beyond without our knowledge or consent. As always, the IoT, like anything else, is merely technology. It is up to us to use it either for good or for bad. The IoT has so many possibilities and potential benefits, but only if we ourselves are the ones involved in designing and implementing them. The technology is so cheap, so easy-to-use, and so easy to develop and implement, we really have no excuse for leaving this to others to do. This is one Internet revolution we can have a direct role in guiding forward.